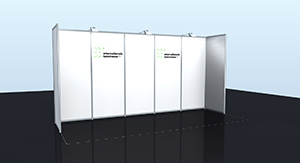 The following sections provide information about booth size and specifications, and information about how best to equip your booth. Renting the booth: The Booth Coordinator submits the online registration for the booth rental, and will receive confirmation and a Customer Number (to be used for administrative purposes only). Distribution of Information: If the Booth is rented jointly by several organisations or companies the Booth Coordinator is responsible to inform all organisations/ companies (Exhibitors) about dates, deadlines and other important information regarding Tanzmesse 2018. Booth-related information will be sent exclusively to the Booth Coordinator. 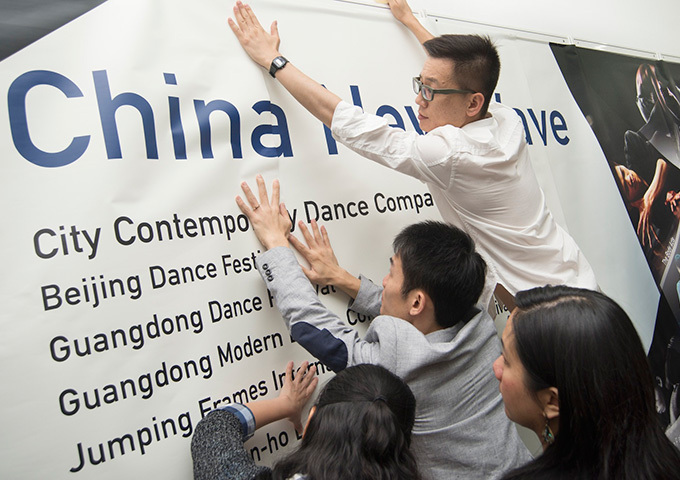 Proposals for the artistic programme: When rental is confirmed by the Tanzmesse and has been paid by the Booth Coordinator, the latter will coordinate the artists/companies who are authorised to send a proposal on behalf of their booth. 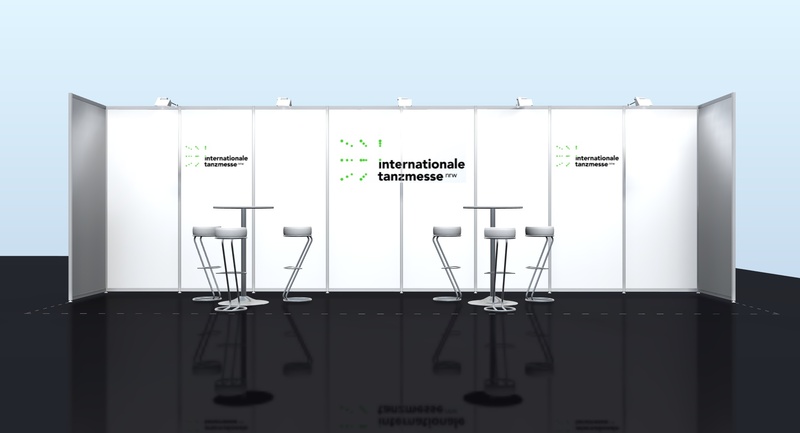 The Booth Coordinator can submit an artistic proposal directly, or provide the Tanzmesse with the e-mail address of an artist or company to whom an invitation e-mail should be sent inviting them to submit a proposal. Two proposals are included in the booth rental fee. Additional proposals are subject to an administration fee of 25€ (+ 7% VAT). The Booth Coordinator can decide if the 25€ administration fee is to be paid by the Booth or if the artist or company should pay the fee. Exhibitors: If the booth is rented jointly by several organisations, the Booth Coordinator is responsible for coordinating the companies/organisations represented at his/her booth, including the coordination of promotional materials displayed online for each organisation. The Booth Coordinator can add as many Exhibitors represented at his booth as she/he wishes. 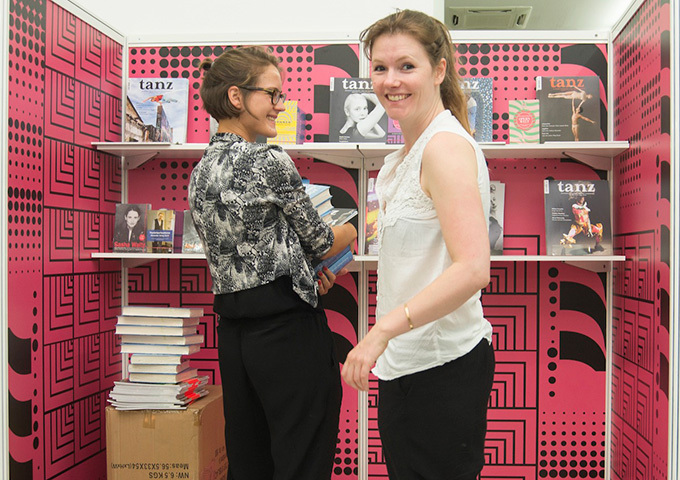 The Exhibitors will be listed on the Tanzmesse website. 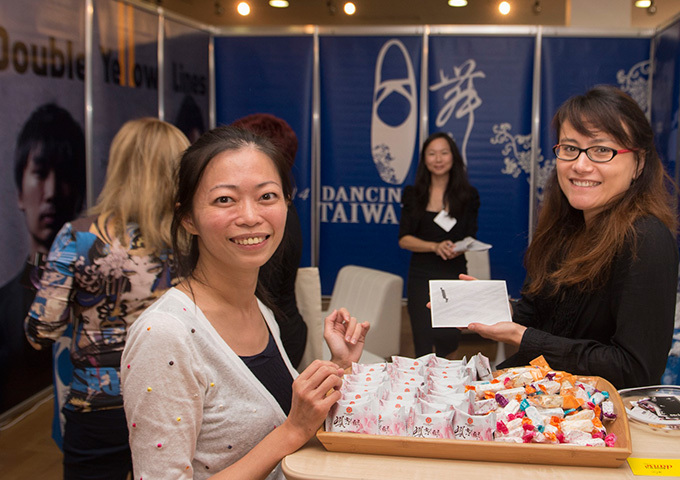 Please bear in mind that only those Exhibitors that will be represented by a Booth Attendant during Tanzmesse 2018 will also be listed in the Tanzmesse catalogue. Payment: If you would like add billing address different from the Booth Coordinator’s address and name please fill in the billing address in the booth rental form. Collective invoice: Before the Booth Coordinator starts inviting Booth Attendants to register she/he can asked for a collective invoice for all further Booth Attendant fees. Booths with a customized size are available on request per email. All Tanzmesse booths are constructed from a metal frame with interior hardboard for the walls. External measurements of individual metal frames: 99 x 250 cm. Measurements of the interior hardboard boards (the space where you can hang or attach materials): 95 x 238 cm. 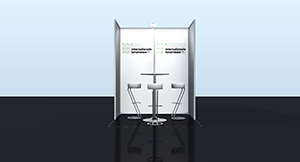 You will find all the information you need to prepare your booth in the Booth Coordinator’s & Exhibitor’s Guide, which can be downloaded on this page. 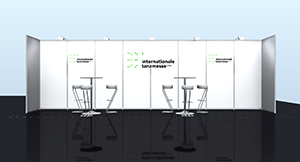 The Tanzmesse Exhibition Halls are designed for Exhibitors to arrange and equip their Tanzmesse booths as they wish. 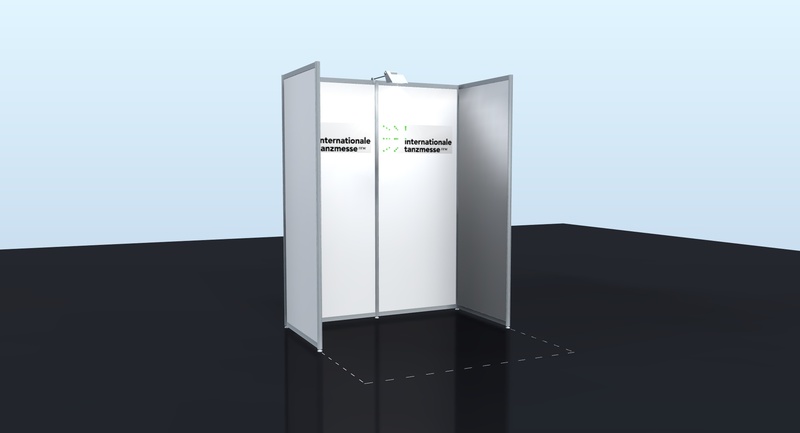 We encourage professional standards, but also hope you will design booths that are creative and unique! 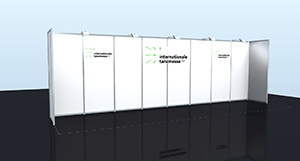 We also encourage you to think of environmental-friendly solutions when designing your booth. 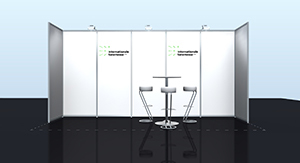 There are several places where you can rent equipment and furniture for your booth. 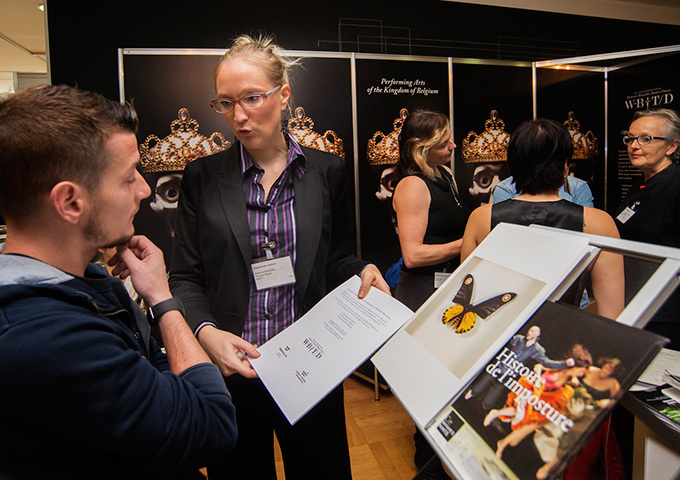 We recommend that you look at our official suppliers catalogue first as they guarantee a discount for Tanzmesse Exhibitors. Here you can download the official suppliers' catalogue. You’ll find many tips in the Exhibitor’s Guide, which can be downloaded here. 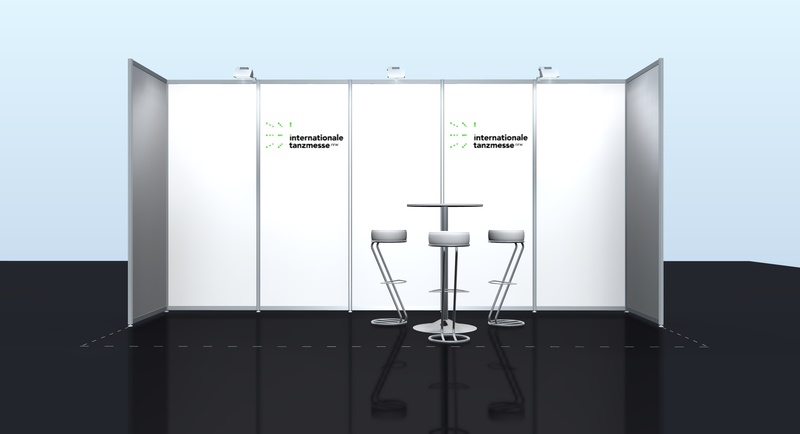 What should be considered before renting a booth? And what does renting a booth mean? What is the role of the Booth Coordinator? How should / can a booth help promote the activities of a company? In this guide, you will also find dozens of brilliant tips from our experienced Tanzmesse participants.